Technology is taking over, the human race is at a point where we are so close to completely re-envisaging the world that some huge accomplishments are right around the corner. Our current technology can already do so many great (and destructive) things but it’s simply the tip of the iceberg compared to what our lives will be like 20 years time. Here’s a hand picked list of the 10 human advancements we’ll see in our lifetime! Check out FutureTimeline for a ton of in-depth analysis and info about our future! Almost everything we consume seems to be harmful to our teeth, junk food and sugary drinks are commonplace in society today and our teeth are paying the price. You can keep good dental health by visiting the dentist and brush your teeth regularly but for a lot of people, they either start this too late or simply can’t stick to it. The ability to regenerate teeth would be a huge boost to both those who seek to improve their appearance or those who are having difficulties with teeth they’ve lost. Once just a theory, the Earth’s mantle is near to being drilled into and will expose a huge amount of information about our planet. The only samples we have are what volcanos have produced but these aren’t as good as the real deal. Being able to study the mantle will also give us large amounts of information regarding earthquakes and other natural disasters. This is just what we’re expecting to find, who knows what we could find in there! The ability to communicate and send a message to someone by using just your thoughts is something we’ve always considered but also agreed it would be impossible. This may become the norm very soon though as there will be devices that can track your brain signals and display a word or letter depending on the signal. This would require a headset-like device to be worn but these devices would likely have a lot more features and might even be commonplace. This would definitely not be the communication breakthrough of the century but it paves the way for more incredible inventions. All of those asteroids floating around our planet must contain precious minerals, metals and other substances that we could really use. 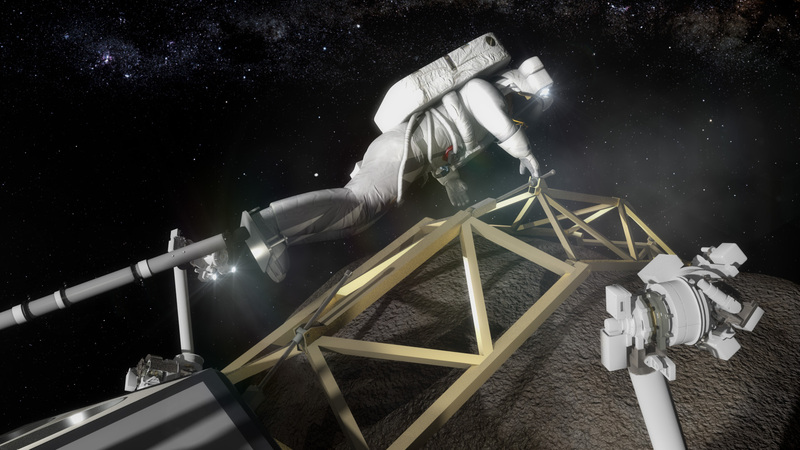 Being able to visit each individual asteroid and examine them will be a huge advancement and will make accelerate our mission to conquer the stars. Additionally, 99% of the asteroids surrounding Earth will be examined and cataloged which will make it much easier if/when we decide to start mining or harvesting these giant floating rocks. By the year 2025 the world population will be approaching 8,000,000,000 and we’ll be having a difficult time finding the land to produce food. Combine this with climate change and we will need to innovate a new way to create crops. This is where vertical farms come in, they will be able to produce mass amounts of food while taking up a lot less space than a traditional farm would. These farms would utilise and rely on recycling its own waste and water so they’re exceptionally friendly. This isn’t even taking into account the amount of jobs these would create. Humans will be playing God at this point but this isn’t really a bad thing. We’ve completely demolished entire ecosystems and removed countless species off the face of the Earth, it’s about time we start giving something back. We will be bringing back many species (such as the Dodo and Woolly Mammoth) as we attempt to find balance with Mother Nature as she will be fighting back. There will be tons of additional issues as we don’t know how modern diseases will affect such ancient animals but it’s something we have to try. We’ve received a lot of really important info from the Curiosity Rover on Mars but it’ll soon be time to get some human feet on there. The red planet can be of great use to us as we seek to find another place to go should something devastating happen on Earth. This will be one of the most major events in human history as we finally start reaching out into the universe. All of this technology that we have by the year 2039 will likely be controlled by one or a few huge corporations. Space is being commercialised, countless amounts of precious ores/minerals are being extracted from planets/asteroids and consumerism will be at an all time high. This means there will also be an even higher wealth gap between the poor and the rich but humanity as a whole will be reaching great heights. There is expected to be 10 trillionaires by the year 2070. The generation that is reading this is one of the last generations to live in a world that was not completely ruled by technology. In terms of evolution, the humans with the greatest traits would pass on their genes and the humans with deformed or less traits would die out. This means that humans were constantly becoming “better” but a we started ruling the world, anyone with any traits would pass their genes on so our evolution has halted. This is why technology is so important, we can evolve ourselves! Common technologies will be things like upgraded eye-sight, far superior medical skills, information will be even more accessible, nanobots will be performing tasks at an atomic level and holographic screens will actually be quite outdated. Humanity has run out of oil and is now completely dependent on renewable resources. The damage has been done though and nature is just about surviving. The human race is moving into the next period of human history, the one in-between us being confined to Earth and ruling the universe as gods.